We are pleased to announced a new version of our popular Meta Woot! 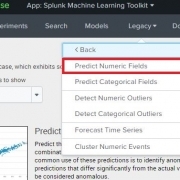 Splunk application is now available for download from Splunk Base. Meta Woot! 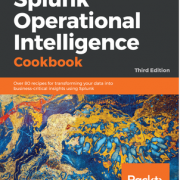 is an essential application for all Splunk Admins, providing detailed levels of visibility into events by host, sourcetype and index. Version 2 of the Meta Woot! application now offers even more benefits; adding license tracking and correlating this information with event data, as well as providing more detailed reporting on data latency and indexing compliance. Annoyed with the Splunk metadata command’s inability to show host, sourcetype and index together? Frustrated by the license data ‘squashing’ your host license data? Then you need Meta Woot! Our 5-star, Splunk Certified App is used by some of Splunk’s largest and smallest customers alike, both on-premise and in Splunk Cloud. The app is simple to install and works well when installed alongside the Splunk Monitoring Console. Why is Meta Woot! Useful? The Meta Woot! 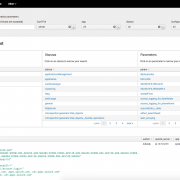 Latency Compliance Dashboard provides an overview of latent data sources in the Splunk environment. Following the same format as the previous version of Meta Woot!, the dashboards can be filtered by index, sourcetype and host. However, users can also filter by Latency Level with the capability to change the latency thresholds to fulfil differing requirements. The latency thresholds can be modified by changing the textbox input values. The Indexing Compliance dashboard provides an over view of data sources which have not indexed data over a certain period of time. It also follows the same standard layout as other Meta Woot! 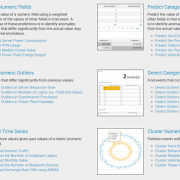 dashboards with the same capability to modify thresholds if necessary. The License Volume Usage dashboards displays an overview of total license usage in your environment by index, sourcetype and indexer. The volume by indexer helps to illustrate how well data is load balanced and/or indexer performance issues. The License Event Usage dashboard cleverly correlates event volumes with license data volumes to accurately calculate the average license volumes per event or per host. This provides amazing levels of insight, helps to identify problematic hosts and provides the ability to predict future license growth and needs.